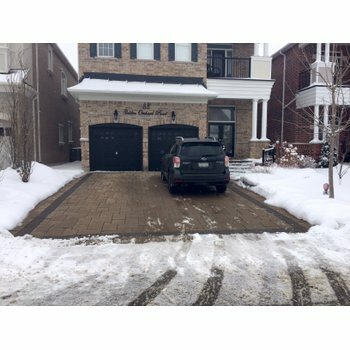 Is a heated driveway worth it? Driveways are the first access point to your home. They set the tone before entering your home, have a major impact on curb appeal, and, most importantly, they give safe passage up to your home for you, your family, friends, and any visitors. If you are building a new home or remodeling an old one, don’t overlook the powerful impact an upgraded driveway can have on your home’s appearance, overall value, and safety. In this two-part series WarmlyYours Radiant looks at 1) key driveway design features and 2) which driveway materials are best for your project. A great driveway starts with assessing your needs, your property’s layout, and style preferences. Do you want more room to turn around? Create a wider driveway, Blair adds. The standard driveway width for residential homes ranges from 9 feet to 24 feet. The width of your driveway will vary based on whether you want a single-car drive or double-car drive. Additionally, the width may change to accommodate parking or a turn-around, but these added features will change the cost of your driveway. 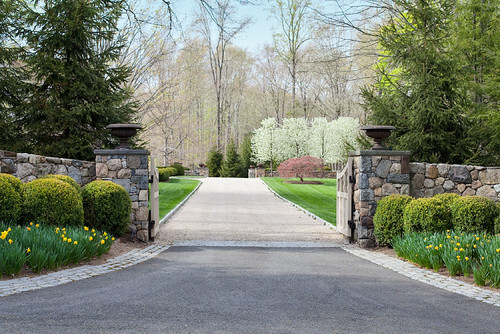 Keep in mind that many cities have codes that limit the width of driveway openings, so make sure your landscape designer is aware of these, cautions the Landscaping Network.com. “Even if your city only allows a 14 foot opening, your driveway can widen into whatever width is necessary. For example, many homeowners opt for a driveway that begins at a single car width, but widens into a double car width near the garage,” the site adds. Where is your garage? 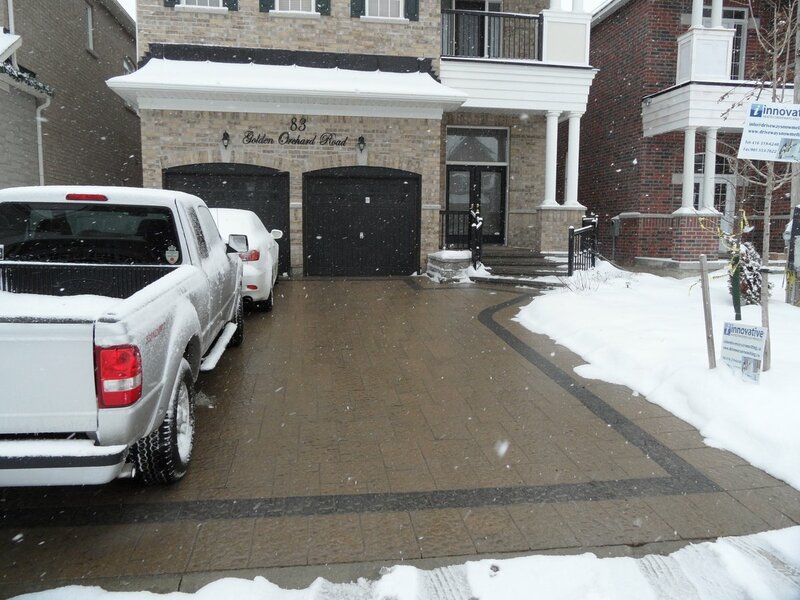 Its location will impact your driveway design since the driveway typically leads to the garage. “If your garage faces the street, it’s easy to connect the two. If you have a side-facing garage or a detached one near the rear of your property, you may need to add curves to provide access from the street. Your property’s terrain should also factor into the driveway design. You may want to avoid placing it on a steep slope or near a cluster of large trees,” Blair details. Be very intentional about the route you choose from the road to the garage, emphasizes This Old House landscape architect Tom Wirth. “Drives should be at least 10 to 12 feet wide at straight runs and 14 feet wide at curves,” he advises. And curves, while they take more space, are worth it, he adds. While a curve or two will use up more land, it “lends grace,” according to Wirth. He also suggests providing a 12-by-18-foot (or larger) space at the top for turning around especially if the driveway is long. This area can also serve as guest parking. However, good driveways are only a “pleasure to traverse” in all seasons with careful planning. To prevent puddles, angle the paved surface slightly downhill or incorporate a crown (the center of the drive is built up so water flows down the sides into the soil or drainage channels). Steep driveways easily become slippery and dangerous during inclement weather, so attempt to stay under a rise of 15 feet per 100 feet of distance (a slope of 15 percent). If the driveway must wind up a steep area, add curves to lessen the slope or cut into the hillside, Wirth suggests. 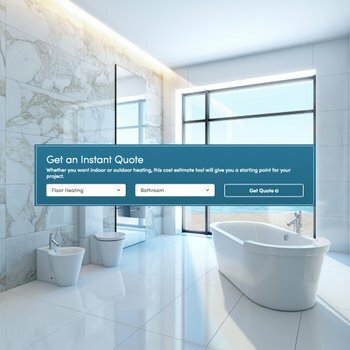 No beautiful design will undo the stress of a treacherous journey from the driveway to the home during the winter, so increase safety if you live in areas of the country with ice, snow, or both during the winter by planning ahead with a WarmlyYours Radiant Heating snow melting system. The system melts snow as it falls and keeps ice at bay. Not only is winter safety increased, but these systems also reduce wear and tear—on the driveway, your body, or your wallet (if you pay for a service!) from shoveling. Watch a video on the benefits of choosing snow melting systems from WarmlyYours here. Photo by Artemis Landscape Architects, Inc. In the midst of all the nitty, gritty details and choices, don’t forget to let your imagination loose and craft a driveway that soars beyond function into something a little more…like you, reflecting your style and dreams. 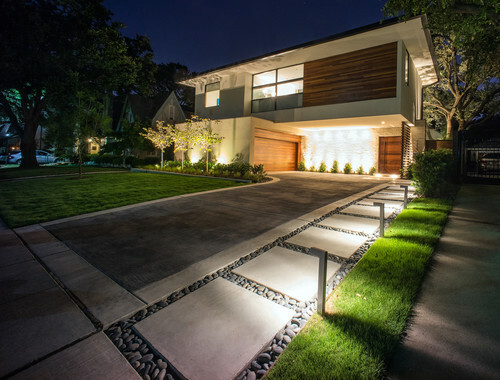 You can also look at 40,000 plus inspirational photos and projects for driveways on www.houzz.com. If you have a smaller home and want to showcase your landscape, a simple style is your best bet, but if you have a large, formal home, a grand entrance for the driveway may showcase your home best, adding to its appearance without overwhelming or competing too heavily with it. Designing a driveway is a chance to “celebrate the function because it is a piece of the property you do use every day,” says Michael Keenan, an adjunct assistant professor of landscape architecture at the University of Minnesota. "The proper inspiration can make it easier to plan your driveways. And planning will pay off for years to come—in compliments, a boost to the curb appeal of your home and its presentation, and the ease of use and safety of your driveway"
WarmlyYours works under a wide variety of common driveway surfaces, but how do you pick the one that works best for you and your home? Look for key considerations to help select the right driveway materials in part two of this blog series.